L.L. Bean backpacks have been a long time favorite of mine! It might have something to do with spending several years in the Northeast...or that I just love a good classic design. Our kiddos have had the L.L. Bean Deluxe Book Pack for years..and I especially love them monogrammed! I have washed the backpacks and lunch boxes in the washing machine and they have held up very well! L.L. Bean recently added a water bottle pouch to the side of the backpack which is a nice feature so kiddos can easily grab their water bottle as needed. You will find two L.L. Bean Original Book Packs and lunch boxes at Play Street Museum Frisco for the kiddos to “pack up” and hop on the pretend school bus! We chose L.L. Bean backpacks and lunch boxes one because we love the clean simple look & functional design, but we also knew we would have to wash them over and over and over and wanted something we knew would last! If you know Play Street, you probably know we also love all things Hanna Andersson! Quality is so important to us and Hanna’s products are just that! 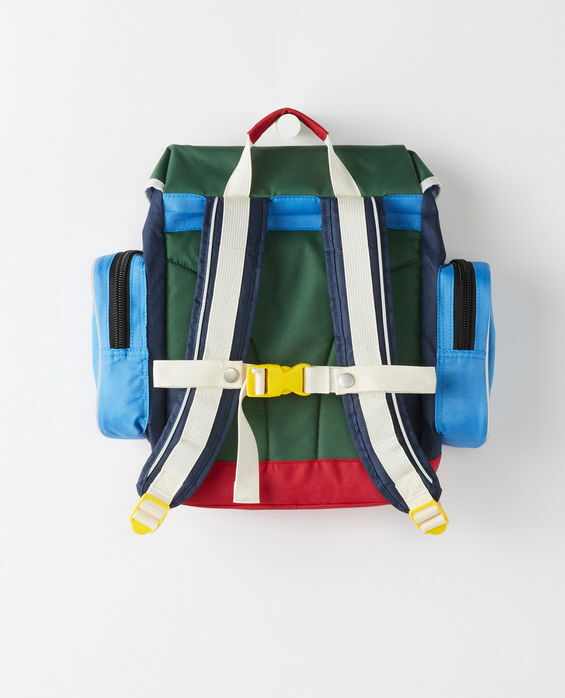 When I saw this Adventure Backpack on their website...I knew it needed to be at Play Street Plano for the kiddos to take on their pretend adventures! They love filling up the side pouches and I love the color combination! We just received this backpack, the kids love it but we have not washed it yet...Hanna Andersson recommends spot cleaning. It is stain and water resistant, adjustable padded shoulder straps, and reflective piping for added safety. Click here to learn more! Our youngest has a big personality and I found a backpack that matches it. For a special treat, I am surprising her with this metallic backpack and lunchbox from J. Crew / Crewcuts. If you aren’t familiar with their products, they are super super cute and their products are great quality as well. This backpack can definitely be wiped down, but I am sure there is no way can it be washed in a washing machine. J. Crew recommends spot cleaning this backpack. It seems to be very durable and has nice strong zippers. 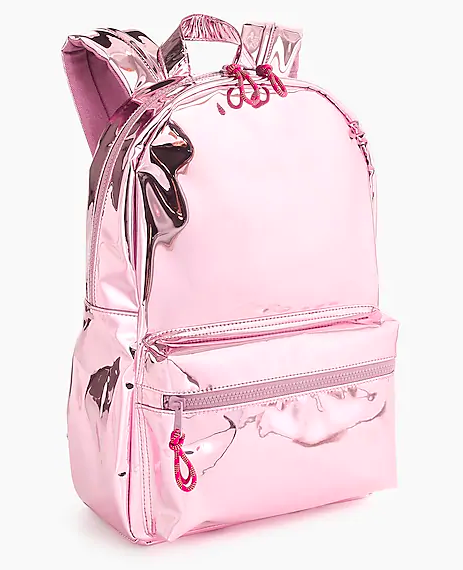 This metallic backpack along with other Crewcut items are 20% off through August 15th, for their back-to-school event. Click here to learn more. We hope you have the best 2018-2019 school year. Stop by a Play Street Museum location after school to get their wiggles out and let their imaginations run wild!